Weekend Reading: Just A Pause That Refreshes? On Tuesday, the market tumbled on concerns over Italian debt. (A problem, by the way, I discussed a couple of years ago.) However, on Wednesday, the market reversed course and apparently the crisis was over. Make no mistake, nothing was fixed or resolved, investors just chose to ignore the problem under the belief that Central Bankers will unite in some form of bailout. It isn’t just Italian debt, which is magnitudes larger than Greece’s debt crisis, but it is also Spain and a host of other smaller European countries that continue to ramp up debt in hopes that economic growth will someday bail them out. However, sustained economic growth has failed to appear. As long as interest rates remain low and negative in some cases, debt can continue to be accumulated even with weaker rates of economic growth. More importantly, as long as rates remain low, the banking system can continue to play the “hide-the-debt game” through derivatives, swaps and a variety of other means. But rates are rising, and sharply, on the shorter-end of the curve. Historically, sharply rising rates have been a catalyst for a debt related crisis. As long as everything remains within the expected ranges, the complicated “math” behind trillions of dollars worth of financial instruments function properly. It is when those boundaries are broken that things “go wrong” and quickly so. People have forgotten that in 2008 a major U.S. financial firm crashed as its derivative based exposure “blew up.” No, I am not talking about Lehman Brothers, the poster-child of the financial crisis, I am talking about Bear Stearns. In just 365-days, Bear Stearns stock went from $159 to $2, with about half of the loss occurring within a few weeks. Bear Stearns was the warning shot for the financial markets in early 2008 that no one heeded. Within a couple of months, the markets dismissed Bear Stearns as a “non-event” and rallied to a higher level than prior to the event, and almost back to highs for the year. 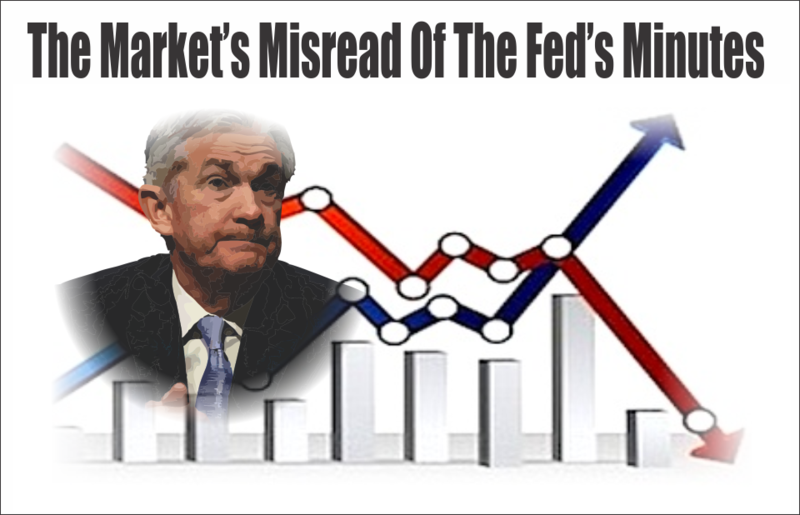 Remember, there was “nothing to worry about” at the time, even though the Fed was increasing interest rates, as the “Goldilocks economy” could handle tighter monetary policy. Sure, housing had been slowing down, mortgage delinquencies were rising, along with credit card defaults, but there wasn’t much concern. Today, we are seeing similar signs. Interest rates are rising, along with delinquencies, defaults, and a slowing housing market. But no one is concerned as the “Goldilocks economy” can clearly offset these mild risks. And no one is paying attention to, what I believe to be, one of the biggest risks to the global financial markets – Deutsche Bank. Deutsche Bank is clearly showing signs of financial trouble. More importantly, it is magnitudes larger, in terms of derivative-based exposure, than Bear Stearns and Lehman Brothers combined. Bear Stearns and Lehman Brothers were not banks and did not hold deposits. As such, they posed significantly less risk to the financial system. “The collateral risks to Europe are large – most notably to ECB and to Germany. In it’s extreme it could mean Italy separates from the rest of the EU. To me, as I have written in the past, Deutsche Bank is particularly exposed. The Fed is raising interest rates and reducing their balance sheet. Short-term interest rates are rising rapidly. The yield curve continues to flatten and risks inverting. The ECB has started tapering its QE program. Global growth, especially in Europe, is showing signs of stalling. While EPS growth has been strong, year-over-year comparisons will become challenging. Rising interest rates are beginning to challenge the equity valuation story. Oh, and just one last chart. During 2007, and into 2008, the S&P 500 traded sideways in a 150-point range. That range was extended to 300-points before the crash actually occurred. Since January of this year, the S&P 500 has been trading in a 300-point range (similar in percentage terms to the period preceding Bear Stearns).